When Maria Ross' husband found his healthy and active wife unconscious on the bathroom floor, the pair had no idea they would embark on a journey into the world ofbrain injury, learning more about how trauma affects the brain - and your identity - than they ever cared to know. Ross, an entrepreneurial branding consultant, speaker and writer, nearly died in 2008 at age 35 when an undetected brain aneurysm ruptured, causing a severe brain hemorrhage. Luckily, her husband happened to be home and called 911. She was rushed to the emergency room where doctors performed emergency surgery to stop the bleeding. The Subarachnoid Hemorrhage she suffered is fatal in about half of all cases and 10-15 percent of victims die before reaching the hospital. Brain injuries account for 22 percent of injuries to troops returning from Afghanistan andIraq, according to the Department of Veterans Affairs. And every 45 seconds in the United States, someone suffers a stroke, the American Heart Association reports. Ross impressed doctors with her amazing recovery. She did not come out unscathed, however: after surgery, Ross was delusional for several days and blind for six weeks– all part of her healing process. While Ross looks fine physically, unseen cognitive and psychological impairments are present even today. After setbacks and a stubborn road back to health, Ross learned a lot about the brain and uses this knowledge today to reframe her life, work and identity. Now Ross is a patient advocate, using her amazing recovery story as a voice for brain injury awareness. "The brain is a place of mystery, but scientists are learning more about it all the time," says Ross. "Many effects of brain injury are the same no matter whether you have a ruptured aneurysm, traumatic brain injury, a stroke, or a tumor. Through amazing resources, combined with stubbornness, curiosity and fighting spirit, my family and I learned about what was happening and how to adapt to it." Why do some people seem to suffer no consequences from a concussion while others have symptoms as severe as personality change? A new type of brain scan helps explain why, and could help doctors and patients determine the likely outcomes of a concussion. The new technique analyzes data from brain imaging studies, according to the study published in the journal Brain Imaging and Behavior today. Concussion victims have unique spatial patterns of brain abnormalities that change over time, researchers found, which could help predict which head injuries are likely to have long-lasting neurological consequences. Earlier studies identified differences in patients with concussions and those without, but the new technique takes the additional step of parsing out the differences in patients who have concussions. The technology driving the analysis is called diffusion tensor imaging, a new form of MRI that the researchers also used recently to show the cumulative effects of frequent headers in soccer players. The researchers used it on 34 patients within two weeks of injury and again three and six months later. DTI detects subtle damage to the brain by measuring the direction of diffusion of water in white matter. To analyze the data, the researchers developed a new software tool (called Enhanced Z-score Microstructural Assessment Pathology). They used it to observe whether brain tissue had maintained its integrity at a microstructural level. 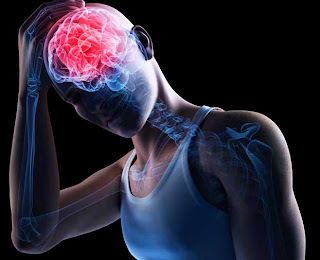 They found abnormal brain regions in concussion patients. Each concussion patient also had a unique spatial pattern that evolved over the study period. "The brain may be trying to compensate for the injury by developing and enhancing other neural connections," Lipton said. The findings could also help doctors tailor treatment to individual injuries. Motor vehicle accidents are the most common cause of traumatic brain injury in the U.S., followed by sports. Link to Discovery News here. Researchers at the University of Missouri have demonstrated the effectiveness of a potential new therapy for stroke patients in an article published in the journalMolecular Neurodegeneration. Created to target a specific enzyme known to affect important brain functions, the new compound being studied at MU is designed to stop the spread of brain bleeds and protect brain cells from further damage in the crucial hours after a stroke. Link to Science Daily here. Is coffee a cure-all for chronic disease? Previous studies have tied drinking coffee to protective benefits against Parkinson's disease, stroke, diabetes, heart disease and some cancers. Now, new research shows drinking about three cups of coffee each day might stave off Alzheimer's for older adults experiencing memory declines. The study of 124 older adults with mild cognitive impairment ages 65 to 88 found that caffeine and coffee intake was associated with a reduced risk of developing dementia or a delayed onset of the disease. Mild cognitive impairment (MCI) occurs in older people in which they display early signs of dementia such as memory loss that's beyond normal amounts expected in aging but can still perform daily activities, according to the Mayo Clinic. The condition often progresses into Alzheimer's within a few years. Over a two to four year follow-up in the study in which researchers examined blood caffeine levels among participants, they found that participants with MCI who progressed to dementia had 51 percent lower caffeine levels compared with those with MCI who remained stable. Their findings are published in the June 5 issue of Journal of Alzheimer's Disease. The researchers identified a "critical level" of caffeine needed to provide protective benefits of 1200 nanograms per milliliters - about the caffeine equivalent of drinking several cups of coffee a few hours before blood samples were drawn. Among participants who developed Alzheimer's, no one had a blood caffeine levels among this threshold. Meanwhile many participants with MCI that hadn't progressed had blood caffeine levels higher than the critical level. "These intriguing results suggest that older adults with mild memory impairment who drink moderate levels of coffee - about 3 cups a day - will not convert to Alzheimer's disease or at least will experience a substantial delay before converting to Alzheimer's," said study author Dr. Chuanhai Cao, a neuroscientist at the University of South Florida Health Byrd Alzheimer's Institute, said in a written statement. "The results from this study, along with our earlier studies in Alzheimer's mice, are very consistent in indicating that moderate daily caffeine/coffee intake throughout adulthood should appreciably protect against Alzheimer's disease later in life." Cao's animal research dating back to 2006 suggests caffeine interacts with an unidentified component in coffee to boost levels of a growth factor in the blood that seems to stall the Alzheimer's disease process. "We are not saying that moderate coffee consumption will completely protect people from Alzheimer's disease," Cao cautioned. "However, we firmly believe that moderate coffee consumption can appreciably reduce your risk of Alzheimer's or delay its onset." With few side effects, the researchers say coffee is a safe an inexpensive way to offer dietary protection against Alzheimer's memory loss. A recent study of 400,000 people found compared to those who drank no coffee, men who had two or three cups a day were 10 percent less likely to die at any age and women were 13 percent less likely to die from conditions such as heart or respiratory disease, stroke, diabetes, injuries, accidents or infections. Link to CBS News here. Scientists continue to seek mainstream medical treatments for Alzheimer's disease. There is evidence that we may be able to attack dementia by making key changes in our life styles revolving around maintaining good cardiovascular and brain health. It's unlikely that these changes will help us avoid developing Alzheimer's disease, but they may reduce the symptoms of the disease or delay its onset. The brain is an incredibly high consumer of nutrients and oxygen. About a fourth of the blood that the heart pumps goes through the brain, which consumes a fifth of the nutrients and oxygen carried by the blood. Maintaining lifelong good brain health is essential to limiting the effects of dementia. The lifestyle changes that are particularly relevant are aimed at the heart so it will pump nutrients and oxygen to the brain with greater efficiency. Also important are life changes that keep our body's highways (arteries and veins) clear to effectively speed the passage of blood. These include taking measures that control high blood pressure and cholesterol. Many include watching what we eat. Diets rich in veggies and fruits are associated with good heart health. Eliminate or reduce some of those foods you know are not good for you. Find a good website associated with a reputable sponsor such as webmd.com or mayoclinic.com where you will find information to help you eliminate the worst offenders in your diet. You don't have to change your entire diet; doing so may be less successful than changing just one or two key parts of your diet. As a general rule, the less change you make, the more likely you are to stay with it. Exercise and fitness also are important. If you are not up for a gym-based program, build exercise into your life. If you can walk instead of drive, consider doing so. Stairs provide more exercise than elevators. Walk over to talk to a co-worker instead of sending an email. Forcing the brain to develop more neural passages or pathways is important. The more pathways that are developed, the more passages will remain when we start losing neurons as we grow older. Stimulate the brain by trying something new. If you like nature but never have been active in this area, volunteer at the zoo or a local nature site. Build new relationships by joining a club interested in butterfly- or bird-watching. Continue normal activities, but change their focus. Reading is an excellent brain-stimulating activity, but vary the topics that you read. Data is emerging that computer games which are designed to be brain-stimulating can have a positive impact. Word games are good brain stimulators; you can find new versions every day in the newspaper. Chronic stress can affect brain health. We can control a lot of our stressors. Carrying a grudge is a big source of stress. Let it go. If getting to work every morning is a regular stressor, try getting up 15 minutes earlier and give yourself a stress-reducing cushion. We can't eliminate all stressors from our lives. But eliminating what you can by making good life decisions contributes to good brain health. While we are waiting for the scientific community to continue its work, we can do ours. Not all studies support the contention that making lifestyle changes will lower the onset of dementia symptoms. But even if it turns out that they don't, they contribute to good overall health in so many ways that we have little to lose. Link to the Evansville Courier and Press here. Less than a year after "The Interrupters"opened in theaters, Chicago-based director Steve James has another movie coming down the pike. He's still putting the finishing touches on the film, a documentary about sports concussions called "Head Games," but he let me take an early look last week. So there I was, about to pop the screener in, when news broke that former NFL linebacker Junior Seau had killed himself. Ugly coincidence, though I suspect it won't be the last. Citing concerns about brain trauma, 31-year-old offensive guard Jacob Bell surprised many with his abrupt decision four days ago to retire from the NFL altogether, a mere month after signing a free-agent contract with Cincinnati. We are only just beginning to understand the extent to which these injuries impact people's lives. Meanwhile (as the film makes explicit) hundreds if not thousands of athletes — many on the youth sports level — are absorbing a disturbing number of subconcussive hits. A concussion is bad, period. But those subconcussive hits, which might not even hurt at the moment of impact, may do the most damage, according to the latest research. Let's take a moment to point out that there is no scientific evidence that Seau's suicide, at 43, was the result of head trauma suffered during his football career. Experts will need to examine Seau's brain tissue before making a determination, and it's not clear whether his family will allow that step. We may just never know. But when you look at the number of professional athletes who have developed problems with impulse control, dementia, depression, drastic changes in personality and the onset of memory deterioration as early as their 40s, the signs do not look good. Just last year, former Chicago Bear Dave Duerson took his own life by shooting himself in the chest, leaving instructions that his brain be studied post-mortem for football-related damage. It seems worth noting that Seau took his life in the same manner. Coupling that with what has been an especially combative NHL playoff season, I've been thinking about this film and the issues it raises quite a bit. When I met with James earlier this week, he talked about getting it in front of people (parents of school-age athletes in particular) as soon as possible. There is an invite-only red carpet screening Tuesday at Park West, but wider distribution for "Head Games" is still being mapped out. James talked about bypassing the traditional festival circuit altogether, which is almost unheard of for a independent film. But unlike "The Interrupters," which focused on the attempt to stem violence in Chicago neighborhoods, James thinks (rightly, I'd wager) that "Head Games" will have an easier time finding an audience from the get-go. The film speaks to a national obsession with collision sports. Players and spectators alike want that smash-mouth action, but at what cost? "Why are you bashing your head into a 300-pound lineman?" Stephen Colbert asks incredulously in a clip James includes in the film. "Your brain is spongecake floating in a bone bucket. Stop now, while you don't have to wear a diaper." It's more complicated than that, of course. "I'm getting dinged all the time and I can't be thinking about the long-term consequences," is how one former NFL player that James filmed puts it. Link to the film's official page here. The site includes a trailer for the film. The Centers for Medicare and Medicaid Services this week announced a partnership to improve - and reduce - the improper use of antipsychotic drugs to treat dementia patients in nursing homes. Antipsychotic drugs generally have been approved by the U.S. Food and Drug Administration for schizophrenia and bi-polar disorder. They are not approved for dementia. Indeed, several drugs got so-called black box warnings about the dangers of giving such drugs to elderly patients. Medicare is the federal government's taxpayer-funded medical insurance program for elderly and disabled citizens. The Partnership to Improve Dementia Care includes federal and state agencies, nursing homes and advocacy groups, according to the announcement, with the hope being a reduction of 15 percent this year. A link to the announcement is here. CMS said its data showed that in 2010 more than 17 percent of nursing home patients had daily doses exceeding recommended levels. In July, the agency's web site for nursing home information, Nursing Home Compare, will have data on each home's antipsychotic drug use and it will be updated periodically. The Nursing Home Compare link is here. Post-Traumatic Stress Disorder has been called many things over the years, from shell shock to "irritable heart." Now a Seattle-based retired general and former Army vice-chief of staff is trying to change the name again to encourage more soldiers to seek treatment. As he asserted at a Philadelphia meeting of the American Psychiatric Association earlier this month, Gen. Peter Chiarelli wants to replace the word "disorder" with "injury"—ultimately changing PTSD to PTSI. His position, supported by other military officials, has generated considerable debate, with coverage in The Washington Post andTime's Battleland blog. A Seattle native, Chiarelli moved home after his retirement in January. He now heads a nonprofit working on brain research called One Mind for Research, which last week held its first annual meeting in Los Angeles. Speaking from L.A., he gives what he says is a common reaction of a young soldier told he should see a therapist. "The kid says, 'I don't want to be diagnosed with a disorder. What I'm suffering from is a direct result of a traumatic experience in combat.' "
"Disorder" implies that something is something is wrong with the person, Chiarelli suggests, whereas "injury" would put PTSD on par with other war wounds. "We call it Traumatic Brain Injury, don't we?" he asks, rhetorically. Chiarelli says it's not only war situations in which the current name may do damage. Take, for instance, sexual-assault victims, who are frequently diagnosed with PTSD. "Is it right to tell a woman who's been raped that because she has a reaction to that, that she has a 'disorder'?" he wonders aloud. But PTSD is a particularly significant diagnosis in the military. A lot of benefits ride on it, as is evident from the recent scandal at Madigan Army Medical Center at Joint Base Lewis-McChord, in which the hospital's forensic psychologists urged sparing use of the diagnosis because of the costs involved. A name change wouldn't impact benefits, Chiarelli claims. But others aren't so sure. "When you have an injury, you follow a treatment regimen and expect to get better," Charles Figley, director of Tulane University's Traumatology Institute, told The Washington Post. Chiarelli holds that a big part of the problem is that we simply don't know enough about the brain to understand PTSD very well, and there's no reliable test that allows doctors to diagnose it. "It's not like you taking your temperature, or seeing a leaky valve," he says. Similarly, Chiarelli says that too little is known about TBI. He says his frustration with that lack of knowledge after 10 years of war ultimately led him to One Mind for Research, which aims to become the American Heart Association of brain research, bringing together balkanized fields of study. Housed in the University District, the organization's first order of business is stimulating more research on TBI and what Chiarelli hopes will be called PTSI. Link to the Seattle Weekly News here.